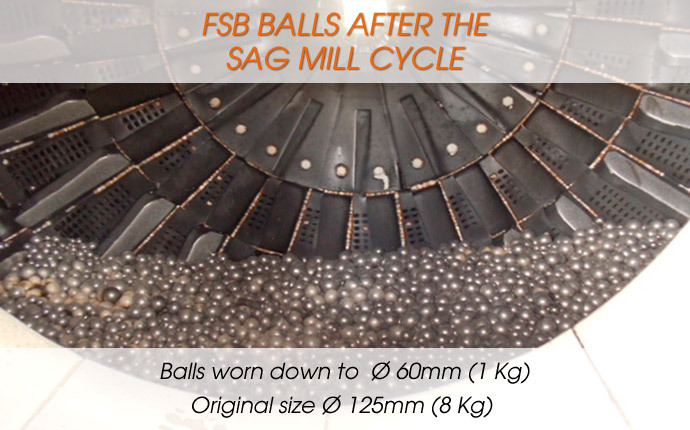 In FSB we produce our high quality steel grinding balls using top quality steel, purchased in some of the best steel mills in Europe. 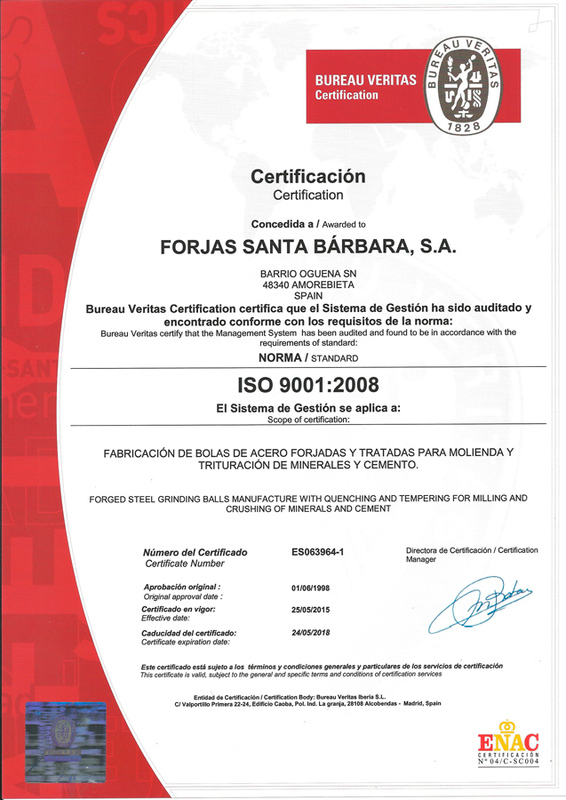 In Forjas Santa Barbara we produce grinding balls by closed matrix drop forging process, which allows us to give the balls the characteristics that allow them to achieve the best performance in the grinding process. 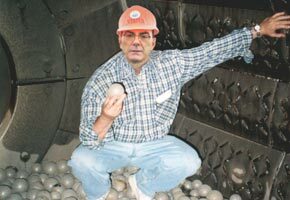 This way we improve the grain size, orient the steel fibre and increase the tenacity of the balls. 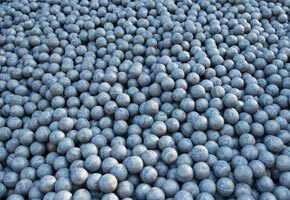 Our balls are notable for their high impact resistance, preventing breakages and spalling and ensuring stable grinding. Their uniform volumetric and superficial hardness gives them great wear resistance, requiring smaller loads of grinding media and thus making for lower power costs in the grinding process. The flexibility of our production process enables us to make any diameter of ball you need (the table shows only the most usual measurements).